Circular knives are used in many different industrial sectors: paper industry, textile industry, rubber industry, agro-foodstuff sector and many other applications. 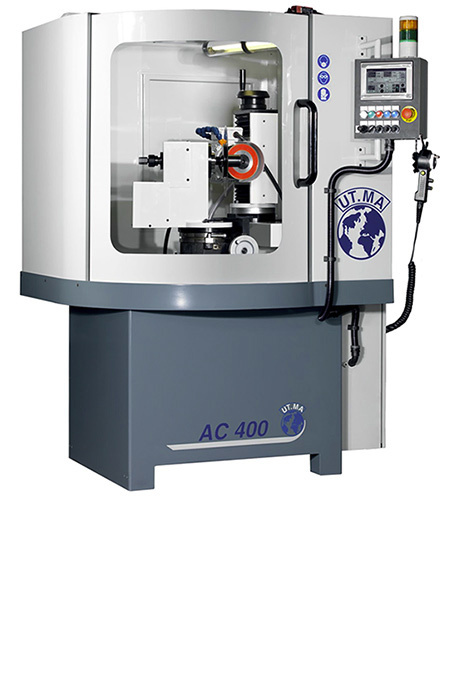 By using the UT.MA AC400/AC5200, the grinding operator exits the traditional sharpening circuit of wood and metal cutting tools and has the possibility to increase its customer base by offering them excellent grinding quality. Our grinder models for circular chamfered blades can be used to sharpen HM or HSS circular blades. 2) Sharpening with tangential grinding wheel, moving back and forth on the bevel of the rotating knife.